I can’t believe it’s already the end of May! This month flew by! I am so excited to share the books I read this month! The first book I completed was Red Dwarf by Grant Naylor. This book was bizarre right out of the gate. I was uncertain about it for the first few pages and to be honest, if one of my best friends hadn’t recommended it, I may have put it down. But I kept reading and wow! It was without a doubt one of the strangest, yet most intriguing books I have ever read! The space travel, time travel, sound effects typed right into the story like dialogue would be, and off the wall characters are all things that have you shaking your head but in an edge of your seat, can’t wait to find out what happens next sort of way. If you are any type of sci-fi fan, you have to read this book. I literally read it in one day because I had to know how it all turned out. Talking about it again just reminds me how much I loved it and that I need to get my hands on the sequel! Next book I tackled this month was Passenger by Alexandra Bracken. I had seen this one around a lot and just thought the cover looked awesome. I heard there was time travel and pirates and I was in! I thought the method of time travel was actually really clever. It was not an overly complex story but for the most part, the simplicity was enjoyable. I have a few hang-ups with it, but I think those are due to the fact that it’s a YA novel and the depth just wasn't there for me. All in all, it was a good read, and I’m looking forward to the next installment, which I will sadly have to wait a while for since it was just published this year. After travelling through time and space in two totally different ways, I struggled with a couple of different books. They just weren’t clicking for me so I didn't get all the way through them. I have plans to finish them in June. Then I picked up The BFG by Roald Dahl. I remembered it’s going to be released as a movie this summer and I wanted to read it first. It’s one of the few Roald Dahl books I hadn’t read yet. I adore this man, and his genius for storytelling. Yes, it’s a children’s book but if you haven’t ever read a Roald Dahl book you are missing out on life. I have to say this wasn’t my favorite book by him (George’s Marvelous Medicine and Matilda tie for that spot) but it was true to his style and I walked away from the book smiling. The movie adaptation of The Big Friendly Giant will definitely be very interesting to see! The last two books I completed this month were creative, writerly type books. The first of these was Steal Like an Artist by Austin Kleon. This book is definitely for all creative people, not just writers. It was a fresh, fun take on the concept that no idea is truly original. We all have people who influence us and the truly great artist recognizes that and makes all the parts of all his influences into a new and shiny looking book, song, poem, etc. It was a really refreshing, quick read for some encouragement and motivation to just keep pursuing my dream! The next book is definitely aimed at writers. 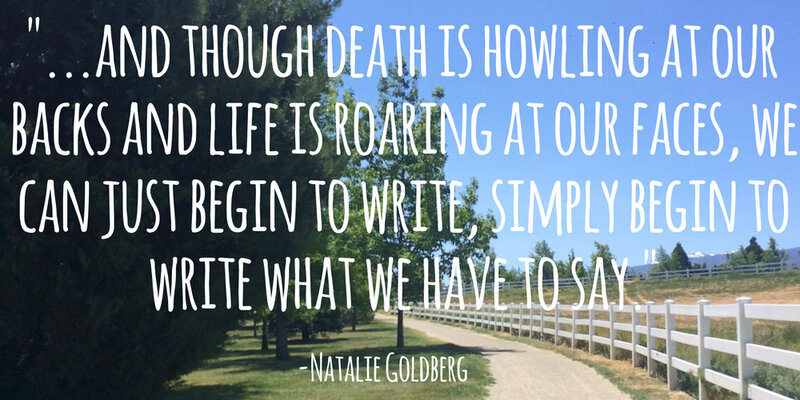 Writing Down the Bones by Natalie Goldberg was an incredible book. I learned so much from her. From the concept that we are all capable of writing amazing things, some people have just been at it longer to the idea that all of your writing, even the bad stuff, is fuel for growing good writing. Like a compost heap. This book was filled with tidbits of wisdom, all of it applicable as a writer, all of it challenging and encouraging. Goldberg took Zen Meditation and combined it with everything she had ever learned about being a writer, from her vast experience and those of others. While I am not a huge fan of some of the Buddhist concepts, there was something to learn from each and every section. It was a slightly longer read, but that’s okay. This is of those books to be read slowly, so you can contemplate it and learn better from it. I loved my reading month! It really lit a fire under me to write more and enjoy and learn from all of the books I read, whether they are ground breakers or not! 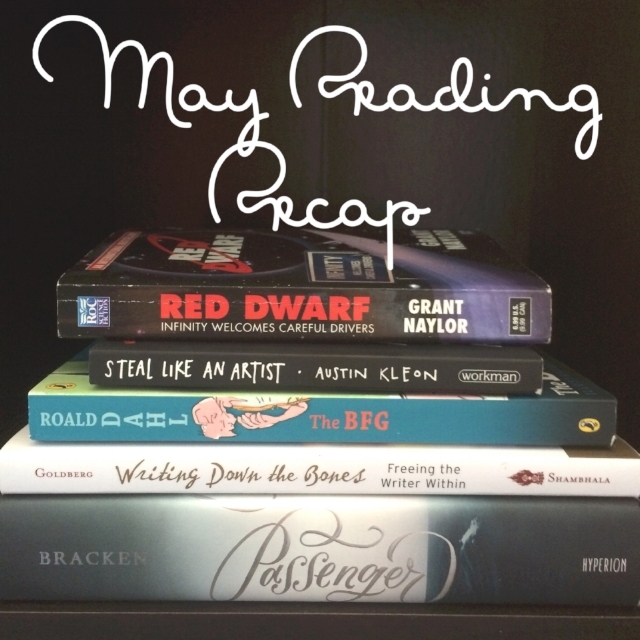 What did everyone read this month? Anything that inspired you to do something big, to carry on a dream or even try for a new one? Huzzah! An email will be sent to you shortly to confirm! Copyright © Karli Cook and A Book Cook, 2016-2017. Excerpts and links may be used, provided that full and clear credit is given to Karli Cook and with appropriate and specific direction to the original content.